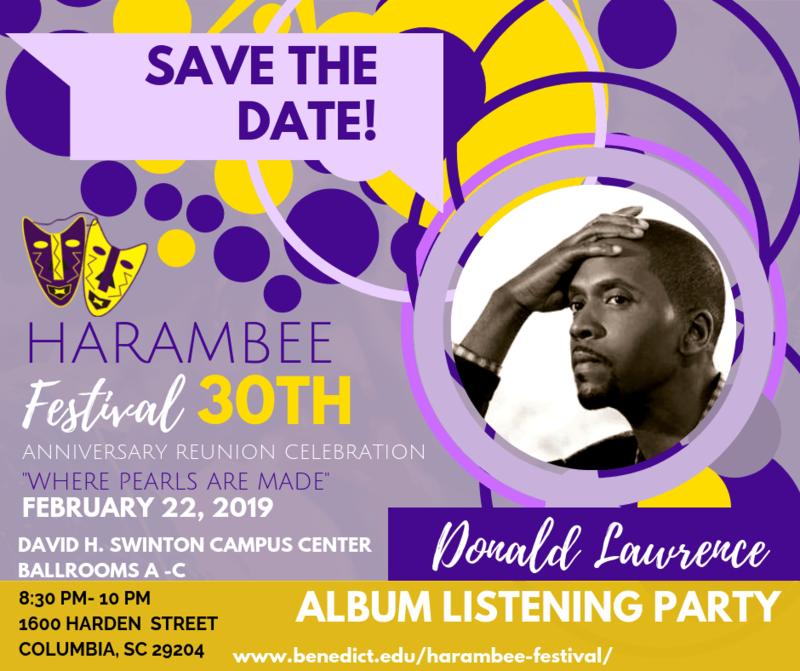 Grammy Award Winning Gospel Music Superstar Donald Lawrence is coming to the Benedict College Harambee Festival 30th Anniversary and Weekend Reunion Celebration February 22-24, 2019. Please join Donald Lawrence for an exclusive album Listening Party for the forthcoming “Goshen” album on Friday, February 22, 2019 at 8:00 p.m. in the Swinton Campus Center. Be a part of this historic occasion, be the first to hear songs from his new album, and participate in a live interactive listening session. Light refreshments will be served.